Bob and I are trying to work off some of our extra holiday weight so I’m on the hunt for recipes that are tasty and filling but also low calorie and this one certainly fits that bill. It is from Betty Crocker and at just over 100 calories a cup, it makes a hearty and filling and, most importantly, tasty meal. Can’t wait to have a bowl of the leftovers for lunch today! 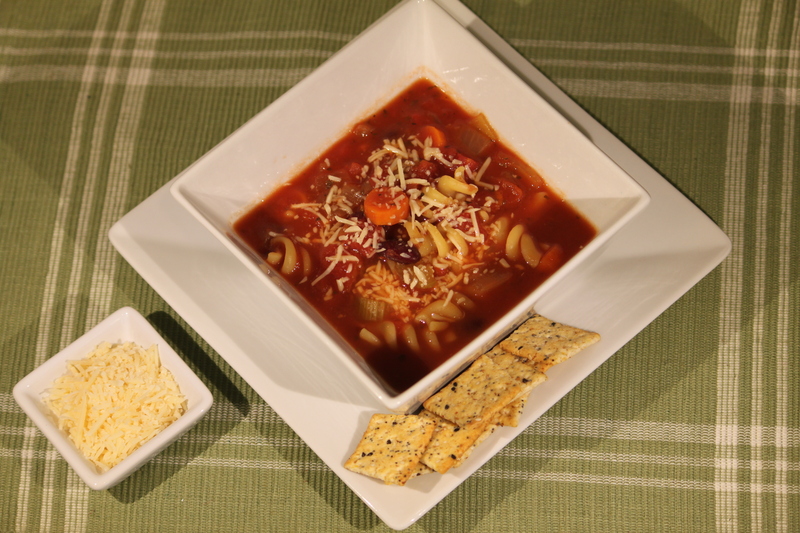 1 In 4 – 5 quart slow cooker, mix all ingredients except pasta and cheese. 2 Cover and cook on low for 7 – 8 hours. 3 Stir in pasta, increase setting to high, cover and cook 15 – 20 minutes longer or until pasta is tender. Sprinkle each serving with cheese.